Highlights: Mobula rays, sharks and giant mantas! During the summer months we have a couple of dive sites that are more accessible than the winter months and the offer the opportunity for some great wildlife encounters and pelagic action. Board the boat at 8am, safety briefing and gear setup. Travel out to our first site, keep your eyes open for wildlife especially dolphins as we cruise past the mogote. Our first site is a small sealion colony and reef system. 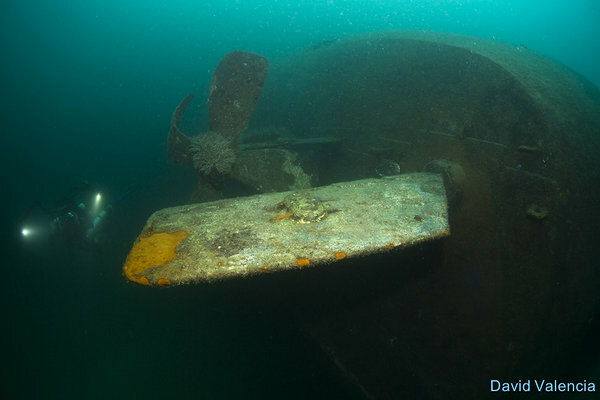 After lunch we will have our second dive on one of the shipwrecks here around La Paz. 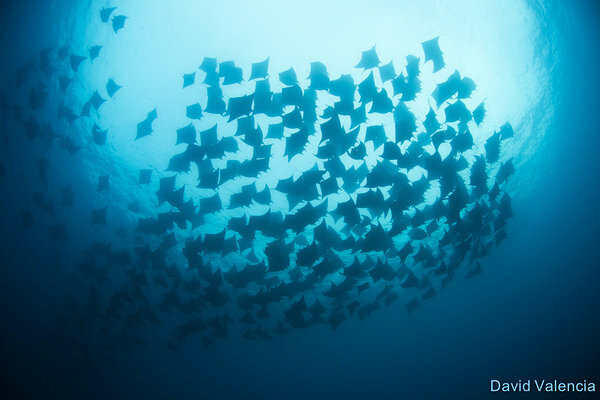 In the afternoon we will travel to our night dive location where we will have the opportunity to try diving with mobula rays. This activity has become much more restricted recently and encounters are not guaranteed but our best chances are between September and April. El Bajo seamount, opportunity to encounter sharks. This site was once one of the most famous places for seeing schooling hammerheads, numbers have declined in recent years but the chance is still there for some great encounters. Lots of schooling fish and nests of green moray eels. 2 dives at this site before returning to Isla Espiritu Santo and the chance to night dive with the mobulas again. Early dive with the sealions at Los Islotes. These creatures are so fun and playful that a second dive here is usually requested! Our 3rd dive of the day is at a reef with lots of fish life. Diving with the sealions is not permitted June-August. We will visit the colony but dive elsewhere. We will dives a mix of wrecks and reefs before paying a visit to a bird sanctuary on the island and anchoring overnight in a quiet bay. Dive La Reina and Cerralvo Island. La Reina is an exposed site and has the potential for a lot of current but it has recently been seeing some visits from giant mantas. There is great coral life here and attracts a lot of schooling fish such as barracuda. Spend the night at anchor enjoying a final meal. Day 6: Breakfast on board then depart boat 9am for transfer to airport/ hotel. Price: US$1500 per person based on a minimum of 4. Diving is done both from El Duque and also from smaller pangas. Sites are dependent upon weather and conditions. Safety is always the priority. Marine life encounters are never guaranteed. Not included: Dive Gear rental, crew gratuities, alcohol, transfers to/from boat. We require divers to have insurance. We require prior notice if you need to rent dive equipment.